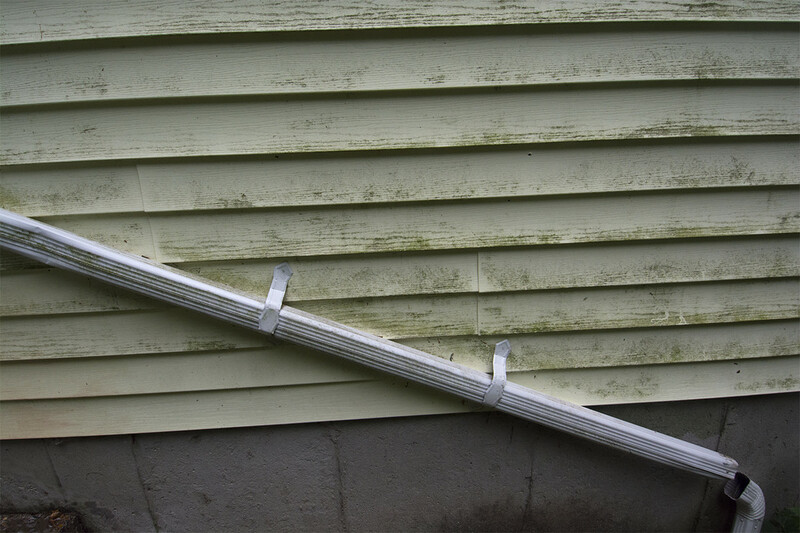 Mold has built up on this house over time so it is thick and darkThe greater New Haven County area is where we service for residential power washing. The company is based in Hamden Connecticut and we service customers in the entire county as well as neighboring towns below Hartford West of the Connecticut River and East of Westport Connecticut. Will I go farther certainly if asked or if not too busy with scheduled work closer to home. The goal of providing this service is to do an exceptional job so the house looks as good as it can. Doing this I explain the work and am friendly to any customer. So YOU are 100% satisfied with the power washing and the power washing contractor. The method of power washing I use is to apply quality cleaning agents and letting them do the work. Not using high pressure water to clean the house. I call this soft touch house washing. It may sound like a subtle nuance but in fact is the key to both cleaning and protecting your home’s exterior. The power washing combined with a specialized nozzle allows me to place a layer of cleaner on the house. It is allowed to stay on the siding for a period of time so it does the work to clean. By the “work” I mean breaking the bond between the exterior of the house finish and the dirt and mold that is making the house dirty. With a professional cleaning solution the surfactant makes the water wetter. The most important issue is to get the dirt off efficiently without doing hydro demolition on the side of the house. The magic of the right product is not having to use the force of the water to blast dirt off the side of the house. Then the house is rinsed with a wide flow of water droplets that looks like a fast moving mist. This is use to flush to dirt and cleaner off the side of the home. If there is heavy mold or dirt that does not come off a soft brush on an extension pole is used to agitate the area to wipe out the dirt. This difference in having the right stuff to clean a house is because others do not clean with low pressure techniques. I have watched employees of a large franchise window cleaning company that also does “Pressure Washing” stand at the side of a home and inch by inch blast the house with water to clean it. This is both inefficient and can be very hard on the homes finish. I have never found this to be needed even on the hardest to clean buildings. My low pressure technique also applies to my sales effort there is no pressure. I give you a committed price and stick to it unless the scope is changed and agreed to. The cleaning process is like being exposed to salt spray like you would have at the shore. So when I clean every precaution is used to not damage the flowers or plants. This is done be wetting them prior to power washing so anything that lands on the plants is diluted. Then after the house wash is applied the plants are rinsed to wash the salts of the plants. Then as the cleaning is finished with the rinse additional water is sprayed on the plants to add a third application of fresh water. Attention to the plants is set up to dilute the contact of the cleaner and the homes plantings. I mention this since some customers have said others that have power washed the house did not clean the high parts. I also climb ladders. What makes my service unique in the area is most all power washing contractors go to all sorts of efforts to avoid climbing ladders. I use ladders to clean gutters and roof cleaning all the time. So when I do power washing I have on the truck two or more ladders that get me up to 40 feet and the power washer reaches up from there. So the high detail areas are cleaned not just what can be done with ground work and an extension. I run and operate a one many company that is professionally managed to do power washing headquartered in the New Haven Area. We back our work with a solid commitment that our exterior cleaning services will enhance and sustain the beauty of your property for years to come. This is backed up with positive reviews on a number of websites. The internet makes for a small world so I do what it takes to make sure a customer is happy. Whatever it takes. If you do not do regular washing of your home over time things get worse. 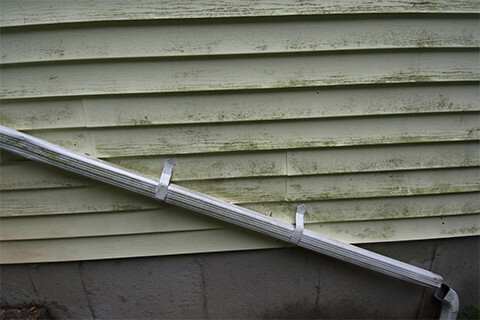 It allows mold, mildew, dirt and many other contaminants to become embedded in your siding. In addition to this a moldy dirty house will negatively impact your home’s beauty and curb appeal. A bad looking house will both devalue your home and degrade its exterior. I provide residential power washing services in Connecticut to do exterior cleaning of houses, sidewalks, decks, mold removal, patio, roof cleaning, algae removal, vinyl siding cleaning, stucco cleaning, and gutters. I have studied the industry and attended conferences to select what I feel is the best way to efficiently clean a home’s exterior. Our soft touch power washing uses the best industry techniques to achieve a highest quality of clean for your home, business, or rental property. My service is based on cold water cleaning of homes not using hot water cleaning. I just am not geared for that since it is a different market. For residential home cleaning or questions please contact me or call me at 203-906-6079 for anything I answer the phone and call back if I cannot answer from a job site.